Welcome to the October edition of Advance Valves’ newsletter. The Commonwealth Games 2010 has commenced with an extravaganza opening ceremony of which the Indian people can be proud. 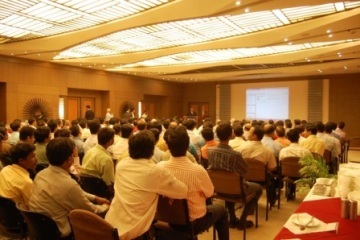 We have significantly supplied our products to built HVAC system at major sporting centers for this event. We wish all athletes the best as they go forth representing their countries' Pride. Advance Valves has been recently approved with prestigious Government Enterprise, Mazagon Docks Limited for Butterfly Valves. 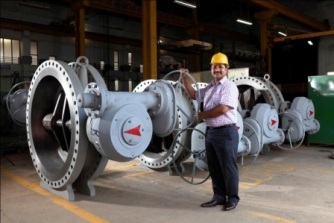 This approval provides permission to supply valves to all the 16 shipyards / docks in India. Mazagon Dock Limited is one of the India’s premier shipyard, constructing warships as well as offshore platforms. Its main activities include ship building, ship repairs and fabrication of offshore structures with facilities situated at Mumbai and Nhava. MDL's capability to build warships, submarines, merchant ships upto 30,000 DWT and fabrication of well head platforms, process and production platforms and jack up rigs. For outfitting work, the company has a large number of workshops with sophisticated equipment and machines specific to hull fabrication and ship construction work. Advance Valves feel proud to be associated with such an organization & provide innovative solutions to build hi-tech defense facilities. We also invite all our clients to visit our facilities in order to understand latest advancements in the valve technology. 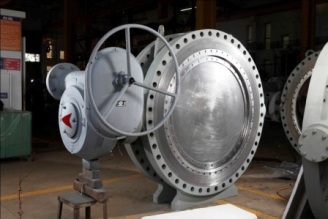 Advance Valves has recently manufactured huge quantities of 1350mm & 1200mm Triple Eccentric – Butterfly Valves. The valves have been manufactured for high end application, replacing ball valves. The specifications involved Low temp. Carbon Steel Body & Disc, with Inconel trim materials including single piece shaft & seating arrangement. 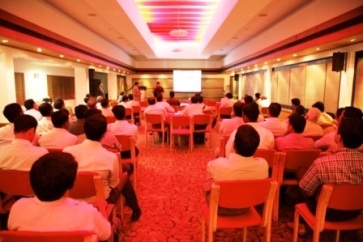 Whilst in Kolkata & Cochin, we took the opportunity, to also celebrate 25 years of our presence as Flow Solutions Provider with our Customers, Friends, Agents and other stake holders. Advance Valves today is amongst the top 5 valve manufacturers globally in its product range. We have a series of silver jubilee celebrations lined up throughout the year for our friends in other parts of the country, and in other countries too!